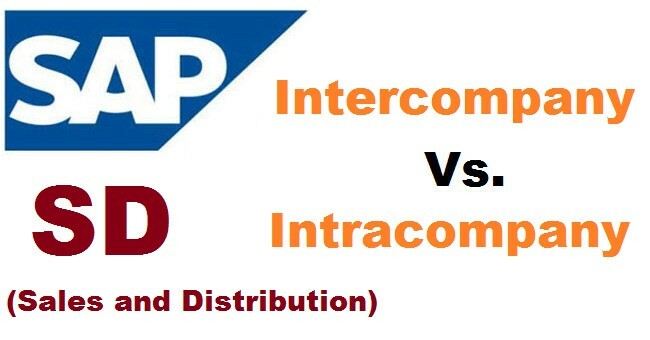 Well the real difference is that Intracompany processing is determined by company management, whereas Intercompany has to follow the law. The amount the R&D department pays the manufacturing department of the same LE for some test chips(of the silicon kind) is to be sorted out between themselves. However when my manufacturing company in Ireland sell chips to their sister company in Germany you can imagine the tax authorities care about how much they charge because they get a % of it in taxes. This what transfer pricing is all about, it is important to get it right and you need to follow the rules and be prepared to open up your books to the tax people to demonstrate you followed the rules. Intercompany: XYZ, New Delhi sends a batch of finished goods to its warehouse in Chennai. In this transfer according to excise laws, no sales tax etc are charged since company is not selling simply transferring its goods to its extension. Intracompany: XYZ New Delhi "transfers" a batch of finished goods to scrap/quarantine due to quality defect.